You'll think it is magic when your photo will glow in dark. 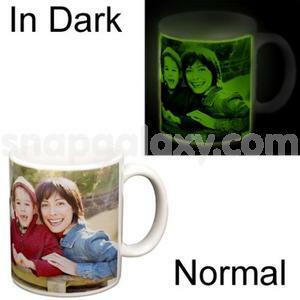 Personalize glow in dark photo mug with a photo and a message of your choice. Large handles make it easy to hold. This mug is a perfect gift to give to a teen/kid on any occasion.